Thiruparamkundram is located about 8 kilometres from Madurai, at the foot of a big hillock and is one of the six important abodes (Arupadaiveedu) of Lord Muruga. According to legend, the Lord Muruga married Deivyani, the daughter of Lord Indra at this place.The temple dates back to the sixth century.The antiquity of Tirupuramkundram Temple can be assessed from the fact that it is mentioned in the Sangam Literature. Though the temple dates back to more than 1000 years, some of the temple structures as in existence today was constructed only recently. It is rare to see that the deities of Lord Shiva and Lord Vishnu are placed facing each other in the main shrine. According to scriptures, this place is believed to have been visited by ancient tamil saints/poets like Gnana Sambhandar, Sundarar, Sambandhar. Temple location It is situated at around 8 kms from Madurai. 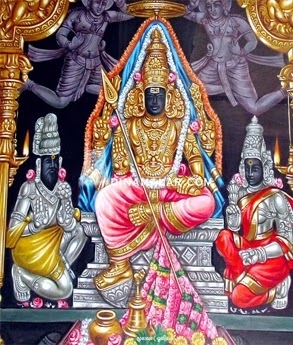 Panguni Uthiram-It is celebrated in the month of March, Vaikasi Visakam-Clebrated in the month of Vaigaasi. Visakam is Lord Muruga’s birthday star. Kandha Sashti-Kanta Shasti Vratam is observed once a year in the month of ‘Aippasi' (October–November) starting from the 1st phase of the full moon. Aadi Krithigai is celebrated in the month of May/June. Thai Poosam is celebrated on the full moon in the month of Thai. Madurai is well connected by Air,Rail and road. 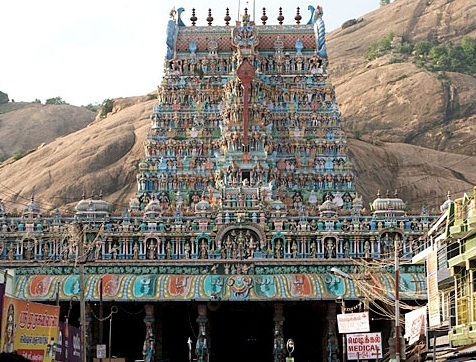 Thiruparankundram is within the Madurai city limits. Contact Sri Subramaniaswamy Temple,Thirupparankundram, Madurai - 625 005,Tamil Nadu,India.